Cirrus Solar, LLC is a 5 MW AC (6.4MW DC) solar farm approximately 2 miles from Progress Solar I, LLC in Franklin County, NC. O2 energies developed Cirrus Solar, representing a $14 million investment in Franklin County. 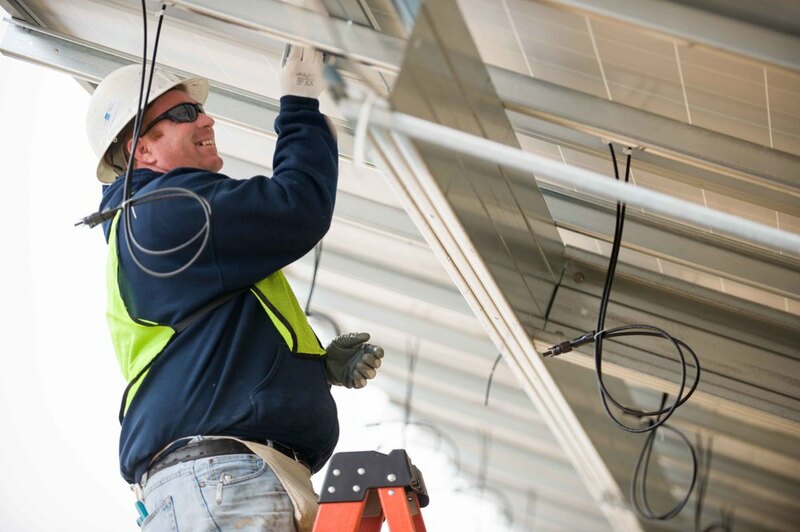 Cirrus Solar created work during construction for more than 100 local citizens and provide a path to permanent careers in the new clean energy industry. O2 emc maximizes the use of local suppliers and sub-contractors in all projects it develops. More than 10 local contractor firms, including grading, equipment rental, electrical contractors, surveyors, and security contractors were directly involved in the project by providing services and materials. The project used local hardware stores, restaurants, hotels and other local businesses. Now that the project is complete, the project will continue to use a local security contractor, a local first responder for electrical issues, and a local farmer for grounds maintenance. Click on the above image to see more pictures from the Cirrus Solar Farm!